March 17th St Patrick’s Day or “Green Day” marks one year since the launch of Green Carbon, the carbon credits trading company started up by young entrepreneur Seeby Woodhouse. Green Carbon advises on all matters related to carbon foot-printing, carbon management and carbon neutrality, and since launching last year has grown into a fully fledged company with a range of small to large clients. “We believe the carbon footprint measurement process, ongoing reductions, and offsetting with carbon credits are important steps for businesses to take in helping to reduce global carbon levels,” says Green Carbon Director, Seeby Woodhouse. “We’ve had a constant stream of enquiries since launching Green Carbon which is very encouraging. It seems that anyone from small niche businesses to large corporate companies are keen to find out how they can do their part in reducing and offsetting their own carbon footprint,” he says. Some of Green Carbon’s clients include Auckland Co-op Taxis who have taken a number of measures to reduce their carbon footprint, including replacing older cars in their fleet with hybrids; leading supermarket grocery brand New Zealand Freshcuts who have enhanced their health conscious brand with a number of sustainability initiatives including measuring, reducing and offsetting their carbon footprint; leading fashion designer Trelise Cooper who is working with Green Carbon to offset their carbon footprint which relates mainly to their head office and the petrol miles to travel clothes; and iconic New Zealand company Kiwi Campers who have broadened their appeal to tourists through promoting their “clean & green” image as low-carbon company. Other clients include 24 hour electrical company Clarkson Electrical and packaging company Classique International. Over the past year Green Carbon has made several refinements to their business, including introducing four different levels of certification. The levels allow clients to be recognized for the efforts with respect to their carbon footprint, without necessarily requiring clients to become completely carbon neutral as the only option. 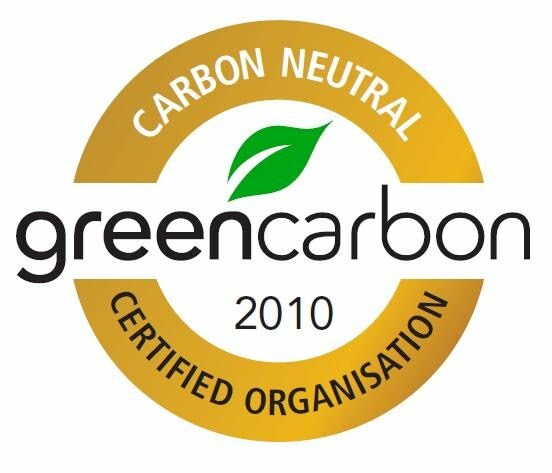 The stages of Green Carbon Certification include - Carbon Friendly, Carbon Measured, Carbon Managed and Carbon Neutral. 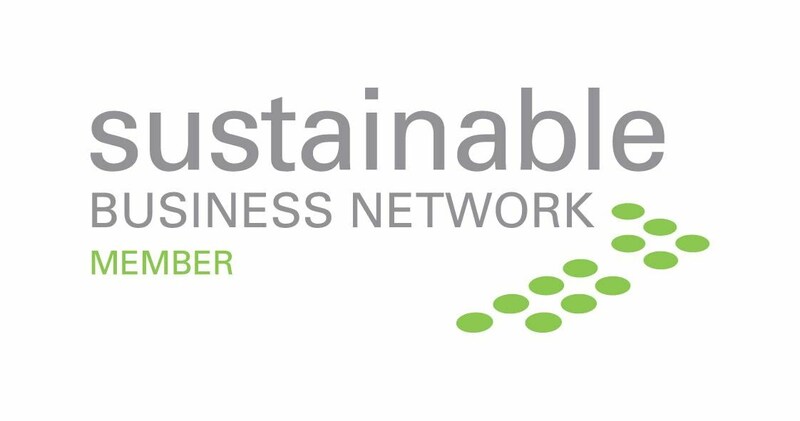 “We brought out the levels to give organisations achievable, discrete targets in their journey towards carbon neutrality, and branding that clearly communicates to the public what these organisations have achieved. These stages incorporate international carbon management ‘Best Practice’ standards such as the Greenhouse Gas Protocol, and ISO-14064, and are designed to give clients accurate and transparent information to indicate where they are positioned in their journey to carbon neutrality,” he says. Woodhouse suggests that it’s even more important for companies who get involved in promoting any form of low carbon credentials to be aware of their obligations in light of the recently released ‘Commerce Commission Guidelines for Carbon Claims’. The guidelines provide guidance for companies making low carbon claims to ensure that those claims comply with the Fair Trading Act. “If companies misrepresent their low-carbon, or carbon neutral status then it could be deemed as misleading to consumers by the Commerce Commission, incurring heavy penalties, so it’s very important to go through a robust process, such as that provided by our certification options, and for companies to be transparent about what they have really done, rather than making broad claims to the public” says Woodhouse. Green Carbon recently supported the BBC movie “Earth” with their own initiative to use carbon credits to offset the estimated travel footprint of movie goers, which included anyone who travelled to the film from around the country. The movie, which was released last August, looks at a journey around the world through the lives of three main characters - a polar bear, an elephant and a humpback whale, and the impact that global warming is having on those animals. Green Carbon will celebrate their first birthday with “Green Drinks” by taking over St Patricks day this Tuesday 17th March, which, the company says should from now on be known as ‘Green Carbon Day’. Green Carbon and Trelise Cooper are partnering together to offset the Trelise Cooper business carbon footprint. Trelise Cooper has embarked on a process of ultimately achieving carbon neutrality – the first step is which to measure the head office carbon footprint. 12% of consumers now make their primary purchasing decision based on a companies eco-credentials. Trelise Cooper recognizes that consumers will increasingly demand clothing in the future that is not only stylish, but also has a low carbon footprint. The collaboration of the Green Carbon & Trelise Cooper bands is an opportunity for these two business entrepreneurs to raise the awareness of climate change throughout New Zealand and lead by example. Trelise and Seeby believe that by acting responsibly towards our environment we can all make a difference. Owner of New Zealand Fresh Cuts and NZFC group of companies, Ashley Berrysmith (2007 Ernst & Young Entrepreneur of the year) is a recognised industry leader in product development <http://www.nzfreshcuts.co.nz/production/packaging-product-dev_9.htm> , long shelf life packaging <http://www.nzfreshcuts.co.nz/production/packaging-product-dev_9.htm> , production <http://www.nzfreshcuts.co.nz/production/production_6.htm> , processing <http://www.nzfreshcuts.co.nz/production/processing_8.htm> , hygiene <http://www.nzfreshcuts.co.nz/food-safety/food-safety_12.htm> and growing <http://www.nzfreshcuts.co.nz/production/rangiriri-model-farm_7.htm> techniques. Their quality fresh sprouts, salad greens, vegetable mixes, baby peeled carrots and hemp seed oil are all especially grown and processed to deliver optimum freshness and flavor to an increasingly discerning and health conscious market place. Green Carbon has provided carbon credits to New Zealand Fresh Cuts to offset their company carbon foot print and are working towards branding of their products in the supermarkets. Auckland Co-op Taxis have adopted a green policy that will embrace all aspects of the business, including vehicle choice, emissions testing, dispatch policies and back office activities. As part of this no more petrol-only new or replacement vehicles will be added to the 760-strong fleet. And any replacement diesel vehicle must now be brand new. To help implement the policy Auckland Co-op has engaged Green Carbon and its principal Seeby Woodhouse, as its advisor. “As a company that has been around for over 60 years we are continually looking at ways to improve our business and the way we operate. This includes the emissions into the environment and our effect on future generations. Engaging with Green Carbon to both measure and maintain these emissions is a small step forward in helping us becoming more environmentally aware. Our new vehicle policy is that no petrol only vehicles may enter the fleet, this change has been embraced by our shareholders and over half our fleet are ‘Environmentally Friendly’ being a Hybrid, LPG or Diesel vehicle. Now when making a booking our customers are able to request an environmentally friendly vehicle,” says Niki Mackay, Sales and Marketing Manager. Kiwi Campers are based in the South Island and provide local and foreign holiday makers an exciting way to explore NZ with their range of camper vans. Having gone beyond just managing their own carbon footprint, they even offer to offset the holiday maker’s carbon emissions from their vans.